Sometimes, there’s nothing in this world more appealing than a meal out with good company. The atmosphere, the good food, the copious amounts of alcohol; it’s a joyous experience, most of the time. Unfortunately, every now and then life likes to throw a little something at the fan, ruining memories of a nice evening by waking you up in the middle of the night full of nausea and discomfort. 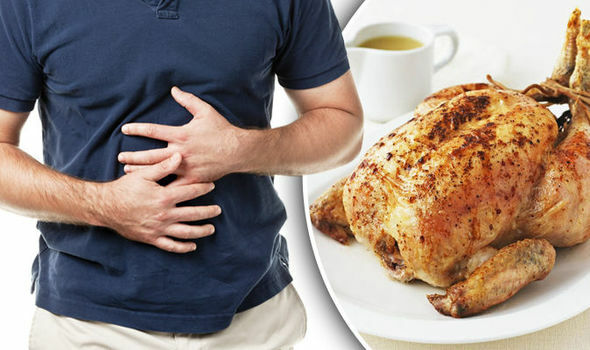 You’ve just become a victim of food poisoning. Book a couple days off work and get settled; you’re in for a bumpy ride. Unpleasant as it may be, food poisoning can typically be treated at home, with symptoms subsiding after a few days. The biggest health risk in this situation is dehydration, as your body loses massive amounts of fluid to sweating, vomiting and diarrhoea. As such, it is important to make sure you drink plenty of water; diluted squash and fruit juice are also good as they will help replace lost minerals. Make sure to avoid alcohol, caffeine and fizzy drinks, as these will likely make you feel worse. Getting plenty of rest will give your body the time and energy it needs to begin recovery. You should also try to eat as and when you feel up to it. Avoid spicy or fatty foods, opting instead for blander options such as toast, crackers, rice, and bananas. More vulnerable individuals, such as the elderly and those with pre-existing health conditions, may need a little extra help in returning their body to natural fluid levels. This assistance can be found in the form of oral rehydration solutions (ORS), which are available in powder-form from pharmacies and will provide extra salt, glucose and other minerals lost to the effects of dehydration. If your symptoms are particularly severe or persistent, you may need to seek medical assistance. Doctors may prescribe antibiotics to fight the cause of the infection or anti-emetics to counteract vomiting. In rare cases you may need to be admitted to hospital to have fluids re-introduced intravenously.